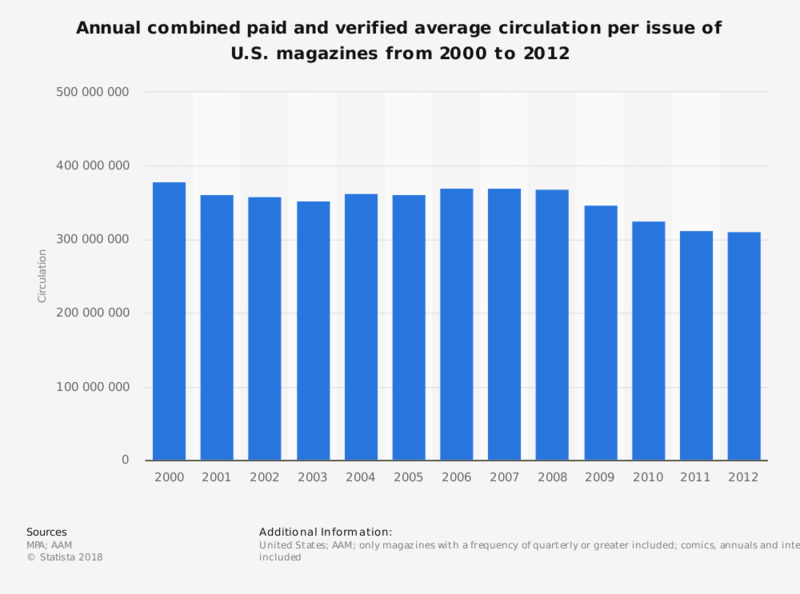 The statistic shows the annual combined paid and verified average circulation per issue of U.S. magazines from 2000 to 2012. In the last measured year, the combined circulation amounted to 352.6 million copies. Includes only magazines that report to the Alliance of Audited Media.